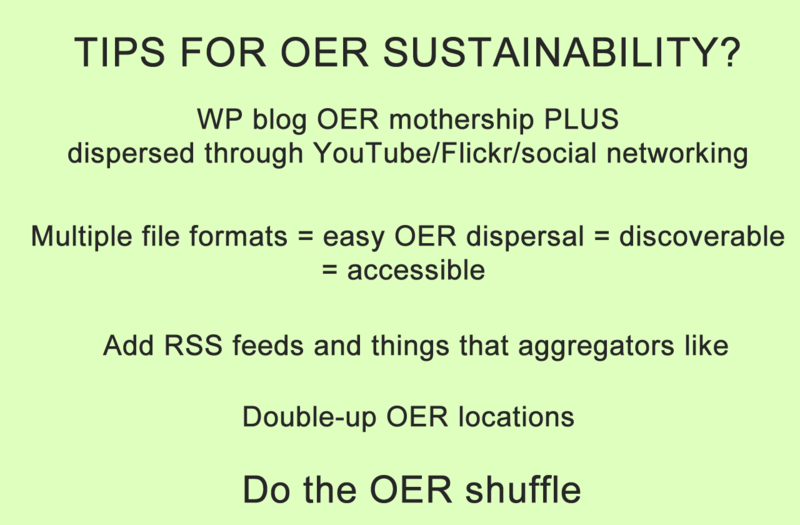 OER Sustainability Challenges: Do the OER Shuffle! I’m reminded of those endlessly long car journeys as a child where I’d constantly fight with my brother and declare “you started it“. This time for the first time ever I think I did start it! Lorna Campbell brilliantly captured a Twitter conversation from Monday 12th October started by me commenting that a staggering amount of our UK OER was just no longer available, not even lost and drifting around the web either, but not there at all. I left my desk for an hour on Monday and came back to a flood of notifications! Thankfully Lorna was there to capture it because I was woefully behind. This segways me nicely into a paper I’m just about to submit, well, in true style, I’ve been about to submit it for 6 months, so I may as well share some of it here. Open Educational Resource Sustainability and Vulnerability: Part 1 Technological Considerations (based on my OER15 presentation). Between 2009 and 2012, De Montfort University participated in five projects as part of the UKOER programme and shared a body of health and life science OER with global communities. The achievement of sustainable projects was an important part of the funding criteria, in order to “get the best value from the work that has been funded” and to provide longevity and “options for sustainability after funding ceases” (UKOER Phase 3 Call). WHAT CAN WE SAY ABOUT THE IMPACT OF OER? 5 OER projects at DMU were hosted on institutional repositories AND search engine optimised WordPress blogs. Resources were shared in multiple file formats. Resources were shared on national / international platforms – Jorum/MERLOT plus blogs. OER on the web have reached an audience in access of 1 million users dispersed across all five continents of the globe. Repository visits were miniscule. Blogs and Flickr next. YouTube the most. Blogs acted as the mother-ship – and other repositories, YouTube, Flickr and social media channels promoted discovery of OER and linked back to the blog. The blog analytics reveal different patterns of reuse via a range of devices – desktop, mobile and tablet, and clear reuse of OERs across geographical boundaries. As reported elsewhere, OERs on SCOOTER have undergone multiple language translations, and email and other correspondence suggests many examples of reuse. You can’t draw conclusions of impact based on analytics alone. Without exception all the OERs are discoverable and usable today across a series of devices and platforms, and some have been reconfigured into different file formats. Back-links from other websites show a number of authoritative organisations link to our OER projects including commercial and charitable bodies, achieving ‘redistribution’, one of the 5R’s (Wiley 2014). So maybe Pat was right, the idea of firing OER into space and having some kind of mothership is not so daft? The sustainability of technology solutions are summarised in four areas – digital literacies for staff; adherence to standards and quality compliance; economics of technology solutions and technological vulnerability. Rather than restricting staff to certain software and approaches, those involved were encouraged to use a variety of software, technical formats and approaches, building on their own preferences that would require minimum technical support. They built their digital confidence in their own way with gentle encouragement. All projects complied with the funding body’s technological requirements for use of open source and open standards. It would be fair to say in all of these projects, aside what might be regulated through WordPress, these standards will have probably slipped without some on-going technical knowledge and input. Certainly an area of vulnerability in non-tech hands. Definitions of sustainability include economic considerations, and it is worth emphasising that blogs hosted on external servers is a relatively low-cost technology option for institutions. Technology by definition is vulnerable over time, and the expectations of user communities will evolve and new preferences emerge. In these UKOER projects, part of the success may be the inadvertent use of a number of different software platforms, the release of OER in multiple file formats, and the constant ‘shuffling on’ of materials. Plans for sustainability and long-term curation should be taken more seriously. Without the means of tracking OER through cycles of repurposing and republishing, the interpretation of sustainability will become clouded in time anyway. Either future technology will allow OER to be tracked, or perhaps those involved in global open education should accept that OERs will leave the nest ultimately as part of the natural cycle of events. And in case you were wondering what the OER shuffle was? (Performed here by the most wonderful 1930’s sensation Wilson, Keppel and Betty. Although I’m not sure where Betty was). This entry was posted in Blog and tagged Lorna Campbell, OER sustainability, OER vulnerability by admin. Bookmark the permalink. I suspect the mothership approach wins, but the problem is proof by induction, do we need to have motherships for motherships? 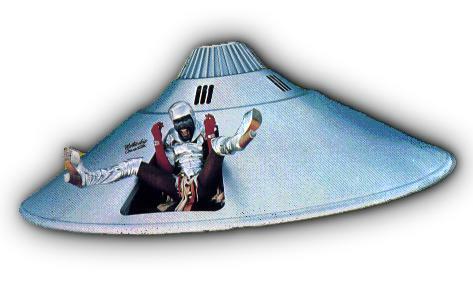 I think our community is almost deciding what the virtual mothership would be – and we can hang what we like off that. I’d like to propose another, complementary approach based on work described at http://hiberlink.org on ‘reference rot’. That had its focus on references made in scholarly statement to web-based resources with what you could sum up as ‘web today, gone tomorrow’. In our Mellon-funded project we defined reference rot as the combination of link rot (404 etc) and content drift (because the URI does not point to the content that was first referenced. I had been thinking about proposing something for OER16 but the deadline is this coming Monday. Why not you propose a session and if you like what you see at hiberlink.org we will be there to explain how we might have one solution worth adopting: instruct a web archive to take a snapshot of the object(s) you include in your OER and use the URI to that archived content along with a DateTime stamp and the original URI and cite that as a Robust Link. Wont cover everything, but stops things disappearing, as in ‘web today, gone tomorrow’. I’m hoping that the additon of fish enhances understanding and will help with the insight on how pro-active archiving into web archives can aid sustainability of OERs. Please pass onto you techno-savvy colleagues for an appraisal. The key is identifying the opportunity for intervention within the three workflows: at the time the OER is being prepared; when it is make publically available for others to use (typically also via the web); when that someone else comes to depend upon that OER.